Pod Point is an award winning UK designer, manufacturer, installer and operator of electric vehicle smart charging equipment. They are official suppliers to major car brands in the UK and Norway, including Nissan, Volkswagen and Renault. It also operates a public network at a wide range of locations, including major retailers such as Lidl and Sainsbury’s, while its workplace customers include high profile companies such as Britvic and Skanska. 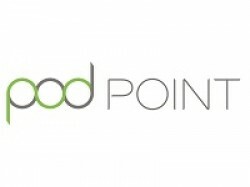 Through this network, Pod Point have already powered over 90 million miles of electric motoring, and is adding almost 5 million miles a month. Their mission it to help encourage the mass adoption of EVs and zero carbon travel.